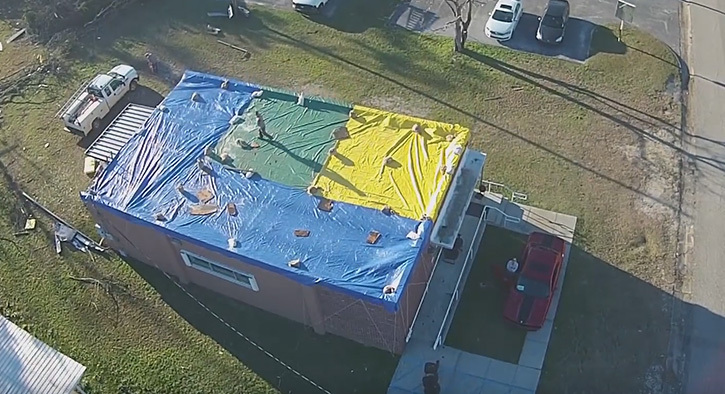 The Escambia County Healthy Start Coalition’s Century location suffered heavy roof damage in last Monday afternoon’s tornado. Rain poured into the building, wetting office supplies, furniture and computers in the county-owned building. 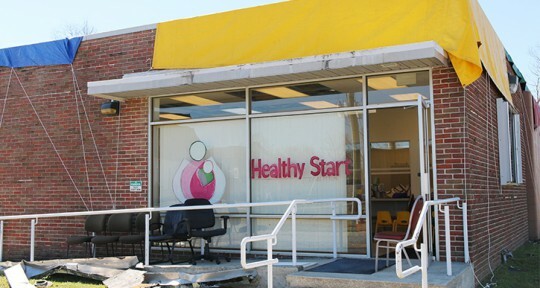 Thanks to an all-out effort by Escambia County’s Facilities Management department, WIC services in the building will be back up and running on Tuesday for pregnant women, children and babies. The interior of the building has been repaired and cleaned. A new roof will be installed soon, but for now tarps are providing protection against the elements. The Century location of Escambia County Health Start will open at 9 a.m. Tuesday for WIC services.